The Prince of Wales and The Duchess of Cornwall visited North Yorkshire today, beginning the day meeting local residents in the village of Stamford Bridge. Stamford Bridge was hit badly by flooding at the end of last year, and homes and businesses are still undergoing repair work. Their Royal Highnesses were greeted by staff at Chris Clubley & Co estate agents who described how the water burst in through the back door, flooding the building. During the visit to Stamford Bridge TRH also met landlady Helen Ambler at the pub, The New Inn, where efforts are still being made to repair the flood damage. Next, TRH travelled to The Royal Hall in Harrogate, where Harrogate International Festivals were staging a showcase of events to mark the Festivals’ 50th anniversary year. Harrogate International Festivals provide a year-round programme of educational workshops, talks, projects and inspiring activities. 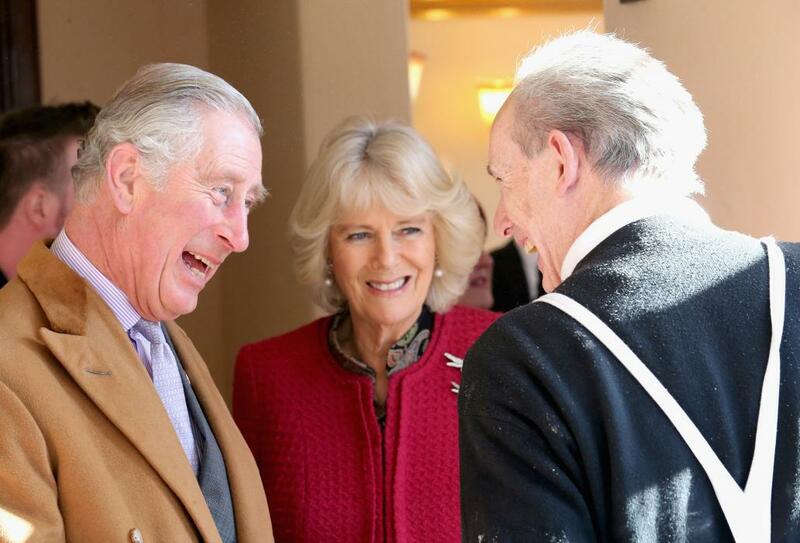 The Prince of Wales is Patron of the Harrogate International Festivals. The Prince of Wales and The Duchess of Cornwall are visiting #Yorkshire today. TRH first stop was to the village of Stamford Bridge, which was heavily affected by recent flooding. TRH spoke to local business owners and residents at The New Inn pub and heard about the ongoing repair work. Next stop for Their Royal Highnesses was the Sir Robert Ogden Macmillan Centre, where The Prince and The Duchess met staff and patients at the vitally important centre. The centre is based at Harrogate and District Hospital and serves the population of Harrogate and the surrounding district. The centre's philosophy is to offer patients the highest quality treatments, alongside integrated supportive care and complementary therapies, and to ensure it gives a truly holistic and therapeutic service. The Prince is Patron of Macmillan Cancer Support, and believes in safe and effective, evidence-based complementary medicine integrated with conventional medicine, not as an alternative to it. The Prince of Wales and The Duchess of Cornwall finished the day in Yorkshire at Taylors of Harrogate tea tasting rooms and Bettys cookery school and craft bakery. Their Royal Highnesses tasted tea, joined in with young chefs participating in a pasta course and piped Easter eggs at the Harrogate centre.